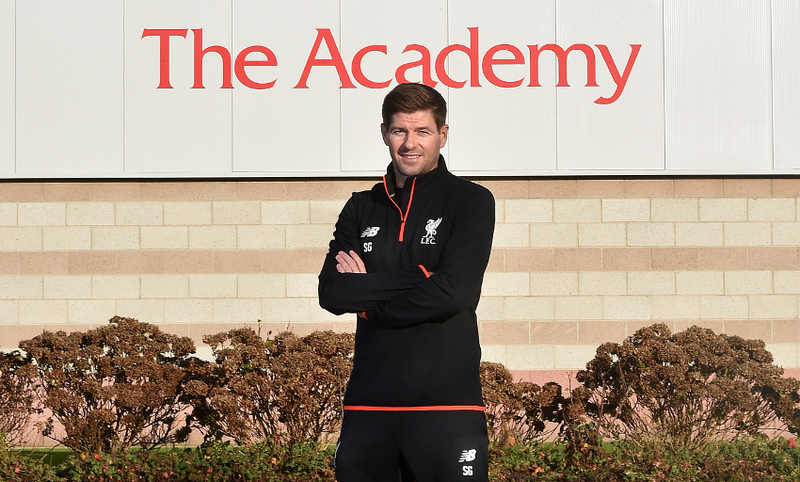 Steven Gerrard insists his decision to return to Liverpool Football Club as an Academy coach was not one based on emotion or sentiment, but a desire to learn from those around him as he begins the next chapter of his career. 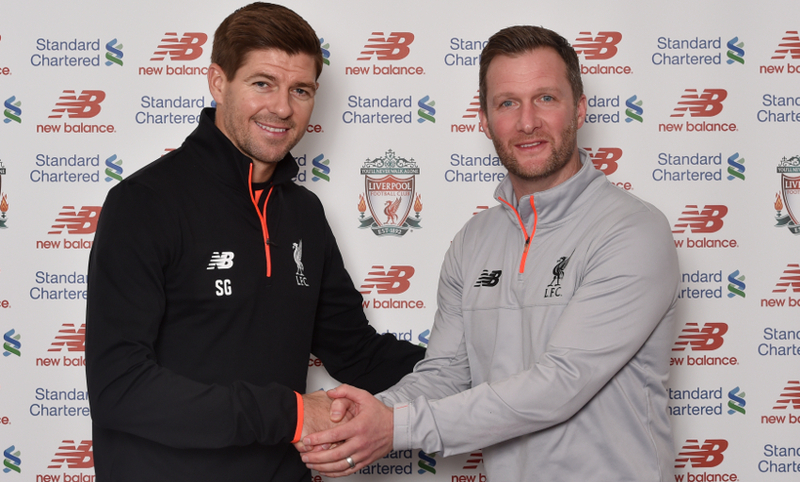 The Reds announced on Friday evening the legendary former midfielder will take up a role within the youth setup, beginning in February. 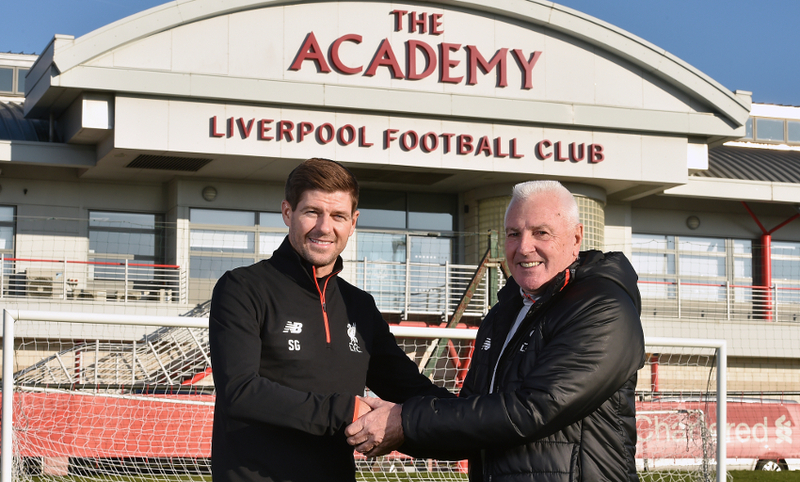 Gerrard will work alongside Academy director Alex Inglethorpe and the other coaches at the complex as he takes his first steps into coaching, having retired from professional football last year. The 36-year-old sat down with Liverpoolfc.com in Kirkby to discuss his return to the club, his aims and ambitions for his new role and how he’s aiming to make a contribution within the youth ranks. Registered users can watch our interview with Gerrard in full now by clicking play on the embedded video below. If you’re not registered, click the play button now and fill in your details - it’s free! Alternatively, read on for a full transcript. Steven, welcome back, welcome home. What does it feel like to be back at Liverpool Football Club? It feels really good. It feels really similar to when I started the journey as a youngster; I’m very happy, very excited and can’t wait to get started. ‘SG’ on the Liverpool training top… it looks good! Yeah, that was a nice sight when I saw it hanging up in the dressing room! It took me back to when I first saw No.28 when I made my debut. It feels good, I am really happy and the role starts in February, so it can’t come quick enough. What has it been like watching Liverpool from afar? Do you see the club differently when you’re not right in the thick of it? Not really because I’m still a fan and still want the same things. It’s still exciting to watch this team and this club. Of course, I miss playing and it is different going to the game knowing you’re not a first-team member anymore, and that takes a bit of getting used to. It’s a difficult one to swallow because I enjoyed doing it so much when I was out there playing, but I still go to the game and going to Anfield still feels the same in terms of wanting that result. You still get the same emotions going away if you’ve got a win, a loss or a draw, so not much changes – it’s just about getting your head around the difference of being a fan, or obviously now a coach, rather than being a player and the responsibilities on you directly. When you left Liverpool, there were so many emotional, reflective interviews about your career and moments you and the fans would savour. Do you see this as a definitive new chapter now – it is about Steven Gerrard the coach rather than as a player? It has to be. The decision to come back wasn’t based on emotion. I think we’ve all been through enough emotion towards the end of the playing career. This is a fresh start and the key in deciding to come back was about contributing to the Academy and contributing to the club, rather than making a decision on sentiment or emotion. As you say, it’s not about sentiment or emotion, it’s about making a difference – so what difference do you think you can you make in this role? I’ve got a lot of experience as a player in dressing rooms. I’ve had a very fascinating journey as a player, playing for this football club. I know the values of the club, I know what this club means to the public and I’ve been through a lot, good and bad. I’ve had the highs and the lows and I’ve had an incredible journey as a player. I feel as if I’ve got a lot to give back, I feel I can help individual players and I feel like I can help teams. I am here to help what is already in place and this Academy is a fantastic setup, it’s got some incredible people working for it – those people can help me and I feel as though I can help them as well. How important was it for you that this wasn’t a token gesture from the football club and that there was a very specific role there for you and you can have an influence? I wouldn’t be sitting here doing this interview and I wouldn’t have come back if it was about sentiment and emotion, or just being about Steven Gerrard the player. It wouldn’t be right for me, my family or Liverpool Football Club. I think what everyone wants from this is for Liverpool to help me develop as a coach and for me to come along and help everyone that’s already here, trying to add that little bit to make it that bit more special. You’ve spoken in the past about the coaches that have helped you in your career and also through this Academy system – will you take inspiration from them or are you your own man? I am my own man but I still need help from top to bottom. Obviously Jürgen Klopp has been key in all of the negotiations and the chats to get to this point, so have the owners and other people high at the club as well. But I need help from every single coach at this club – I am starting off at the very beginning, I realise where I am as a coach and it’s about development and it’s about improvement. I need all of the coaches to try to go out of their way to help me to become a better coach. One man who will definitely go out of his way is Steve Heighway, what’s that going to be like? It’s great for me to have him back from a personal point of view, but it’s also wonderful for the club. He is an incredible coach, I’ve experienced that first hand. All the kids and young adults that spend their time here trying to become top players are lucky to have Steve’s expertise at the club. Obviously Alex [Inglethorpe] is a top-class coach and a top person as well, so I think the Academy is in a really healthy place. It’s the likes of those people that have helped [me] get to this point for me to start out on my journey – and I can’t wait to get working with those people. For the players and young lads you’re going to be working with, nobody is in a better position – you know exactly what they’re going through. Is that something that you will drill in to them, that you know what it’s like? Yes, of course. It’s to make them understand how difficult the task is when they eventually get there and to try to help shape them to be better players and better people. What they need to understand is I am here for them now – they can bounce off me and I am going to be as approachable as I can for them to come and talk to me in one-on-one situations. I’ll obviously be speaking to them in groups as well, both on and off the pitch. The important thing is that there’s no shyness here and that they exclude Steven Gerrard the player and try to use me as Steven Gerrard the coach, trying to take as much out of me as they can. I am going to be learning an awful lot off them and I need them just as much as they need me. I’ve been there and done it on the pitch in terms of the journey, the highs and lows, the emotions… I’ve had some incredible nights being a player for this club and I’ve also had some cruel lows as well. When I was growing up, I always used to try to use players that were playing in the first team, try to bounce things off them and ask them questions. I’d try to learn off them and watch them very, very closely, so if I can help these players in any kind of those ways it’ll definitely be worthwhile. We’ve talked so much at this football club about ‘the Liverpool way’ and coaching ‘the Liverpool way’. You’re now going to be part of that, so what is that to you? It’s important to understand the values of the club and also trying to take on board what Jürgen has brought in – I think that’s the key at the moment. I think we’re very lucky to have one of the best managers in the world and he’s made it very, very clear what is expected of all the players at this club. If they want to play for him, they have to do it his way and do it to the best of their ability. They need to look up and challenge themselves to get into Jürgen’s plans, to try to play for him. My job is to try to help them get there. What are your long-term coaching ambitions? I want to be a manager. I want to be the best manager I can be eventually and this is the beginning of the journey. As I said earlier on, it’s about development, it’s about improving and I know exactly where I am. I could have taken other coaching positions and management roles on name or reputation, but I think that would have been a stupid thing to do and a decision on emotion. Having spoken to the likes of Jürgen, Alex Inglethorpe, Steve Heighway and other important people around, this was the most sensible decision and the best decision for me for where I want to get to in the future. You’ve mentioned Alex Inglethorpe a few times, your relationship with him is going to be key to this whole thing. How excited are you at the prospect of working alongside him? I can’t wait to work with Alex, I can’t wait to work with Steve and also all of the other coaches from U6 all the way up to U23. I am also looking forward to still having a connection with the first team and staff at certain points as well. I am here to learn off them all and I couldn’t learn off better people. We’ve got an incredible Academy full of top-class talent and I am so excited to get involved in it. It’s had its ups and its downs and I’ve been here through the ups and the downs as well, but I think at the moment there’s a bit of a boom and that’s credit to Jürgen Klopp and his staff because they’ve got huge confidence and belief in what’s going on at the Academy. Credit to the lads as well, they’ve taken their chances, have shone when they’ve had their opportunities and it’s important for all of the staff to try to continue to make players good enough and available for the first team to use. It’s exciting – I’ve picked a very exciting time to come along because there’s a boom at the moment and long may it continue. I know the decision isn’t about emotion, but driving here on your first day of work into this Academy is going to be special, isn’t it? Of course, it’s very special. Listen, football and coaching is about emotions. Everybody knows that. I am an emotional person – that’s the way I played and that’s the way I will want to coach. I want to get involved, I want to learn and I want to give as much back as I can. There’s going to be an emotional journey, of course there is, but in terms of making the decision to come back, I haven’t made that decision on emotion – there had to be substance in the job opportunity. Liverpool have created a role that suits me right now and I am so excited to be here. 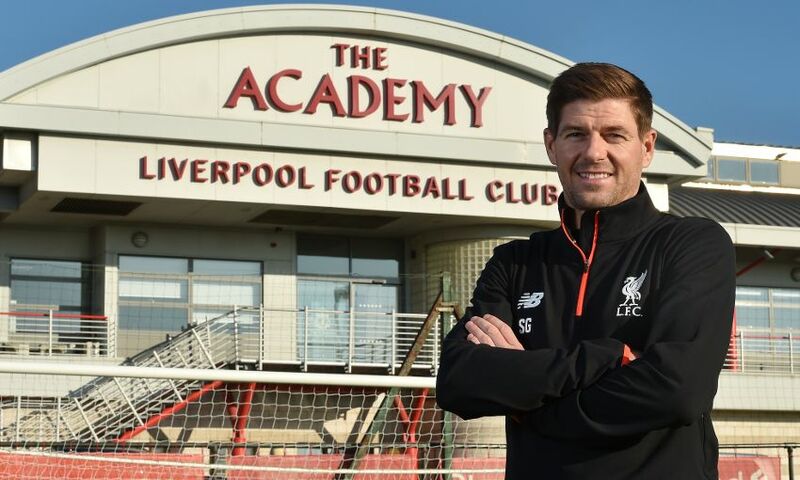 Finally, is there a difference in Steven Gerrard the player and what we can expect from Steven Gerrard the coach? I don’t think there’ll be many differences; I think you’ll still see the same person. I am going to try to be respectful and honest – I have my own values that I will always have. I am going to be an emotional coach because I love this club and I love the game, that’s just the way it is. But I am not Steven Gerrard the player anymore, so now it is time for me to put the hard work in to try to improve as a coach. Watch EVERY U23s Premier League 2 game LIVE on LFCTV and LFCTV GO. For more information, go to www.liverpoolfc.com/watch.